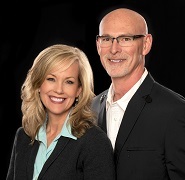 The Duerr Team~ We are a husband/wife team specializing in residential real estate sales in the greater Thurston County region. As fulltime agents, we've worked with hundreds of clients to help them realize their vision for the future whether buying, selling or building a home. We promise to skillfully guide you through each step of the process. One of the greatest challenges for any real estate professional is needing to be in two places at one time. As a team, we can do just that! Professional, timely, connected and friendly. We give The Duerr Team our highest recommendation!